Product Name / Part No. 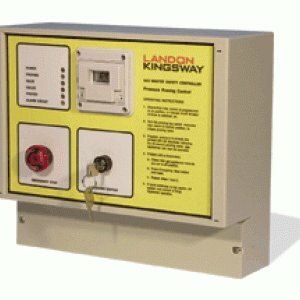 Landon Kingsway are a UK provider with a global reputation for quality and innovation. 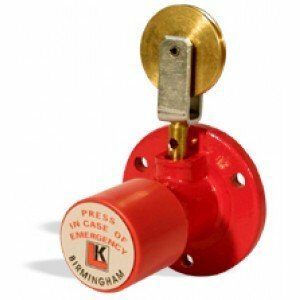 They have been providing fire protection and hazardous gas detection equipment for commercial and industrial buildings including boiler house and plant rooms for over 60 years and continue to innovate. 24V DC Version. 230 V AC Version. 95dB intermittent tone. 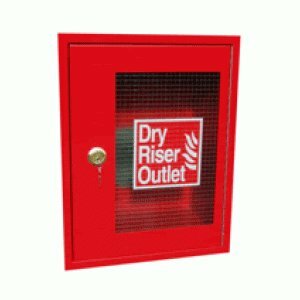 Dry Riser Outlet Cabinet. Dry Riser Inlet Cabinet. Single Point Inlet. Dual Point Inlet. Triple Point Inlet. A Type Single Point. B Type Double Point. C Type Triple Point. Also available in Stainless Steel. 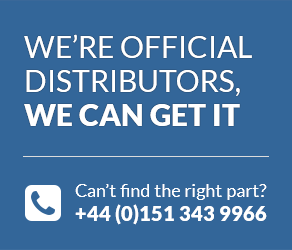 Please note any products listed on this page are sold at a highly reduced cost and therefore will not be eligible for return, exchange or refund. Materials: Stainless Steel float, Grey painted cast iron housing. Protection rating: IP65. Mounting Connection: 3' BSP. 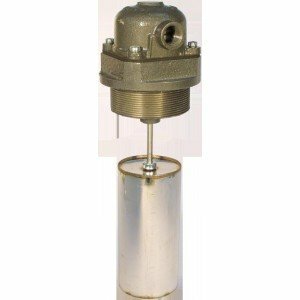 Liquid Switch-point: 100mm above base of float. Contact Rating: 10A max. 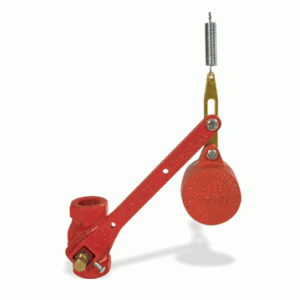 Gauge diameters 100, 160 & 250mm. 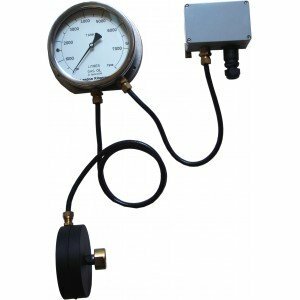 Gauge material Stainless Steel. Connection ¾' BSP c/w isolating valve. 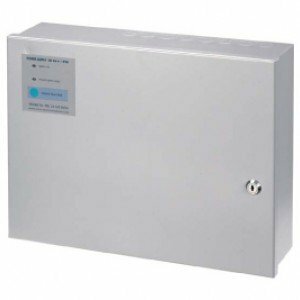 Supply Voltage 230V AC. Power 30VA + valve. Protection Rating IP54. Temperature range -10°C to +50°C. LED Design. 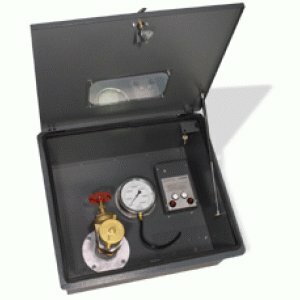 Natural gas detector. LPG detector. Carbon Monoxide detector. Materials: Stainless steel case, shatter, scratch resistant transparent window. Dimensions: 130mm x 40mm sensor. Assembled length: 250mm. Mounting Connection: ¾' BSP. Enclosure Weatherproof grey epoxy coated steel plate. IP65 rated. Dimensions 139 x 177 x 48mm. Fixing Centres 102mm. Electrical Entry 20mm conduit knockout. Contact Rating 5A, 250V ac max. Weight 0.6kg. Material: Cast Iron. Max. Pressure: 14 Bar. Standard Cable: 9m. Valve Rotation: ¼ turn. Fusible Link: 71°C as standard. 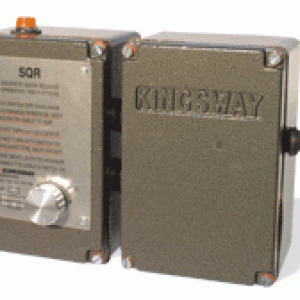 SQRM Mkl 24vdc. SQRM Mkl 110vac. SQRM Mkl 230vac. SQRM Mkll 24vdc C/W Aux Switches. 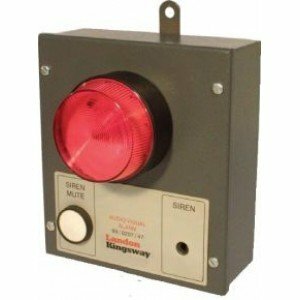 SQRM Mkll 110vac C/W Aux Switches. 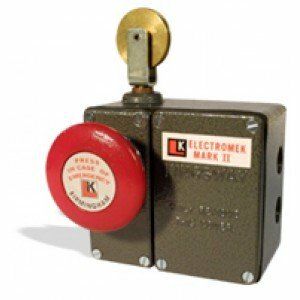 SQRM Mkll 230vac C/W Aux Switches. Offered seperately as panel and float unit 1-3 tank operation. 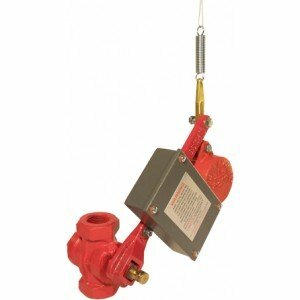 Filguard float sensing unit c/w Stainless Steel float. MKIII Filguard panel high and low level alarm 1 tank. 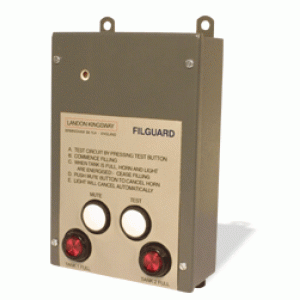 Filguard Alarm relay 24v coil. Weatherproof enclosure for Filguard panel. 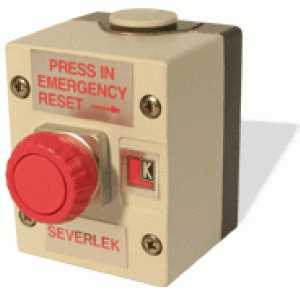 Fire Control Panel FCP 2002 230vac. 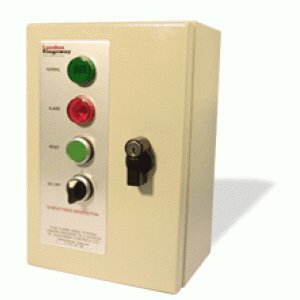 Fire Control Panel FCP 2002 24vdc. Now a part of Rotork Midland Ltd, along with Midland ACS and Alcon, Landon Kingsway help make up the impressive Rotork Instruments division. 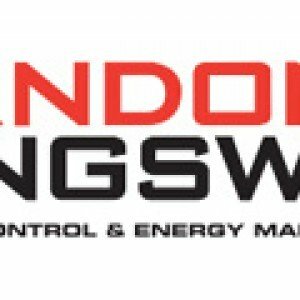 Landon Kingsway is fully compliant with all UK and European standards, and as with all our products we stock their range because our years of experience working with them means we can be confident we will be providing you with high quality, long lasting and reliable equipment. 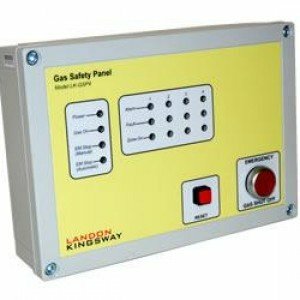 From individual valves, gauges and sensors to full gas proving and detection systems, we provide a comprehensive range of Landon Kingsway products - if you can’t see what you’re looking for here, call us on +44 (0) 151 343 9966 and speak to one of our qualified engineers who’ll be able to advise and/or source it for you. Subscribe to our newsletter and get FREE priority news & special offers.